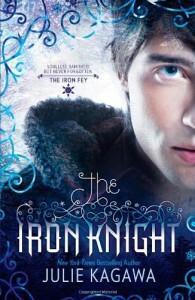 At first, I gave The Iron Knight 3 stars because I simply didn’t care, but then I had a day to think about it, and I realized that there was literally no point to this book. If The Iron Queen had just ended with all the Meghan and Ash shippers getting their wish then this book wouldn’t have had to happen! she brings Ash’s dead lover back to life. Like, in what world does this make the least bit of sense?! If Kagawa is focusing on Meghan and Ash, then let the focus stay on them because it is the final book. did she not think that this should’ve added depth to Ash and Meghan’s love? Like, isn’t he going through a trial for her right now? Then why is he getting all gooey-eyed on Ariella?! Like, if you really loved Meghan then you should be able to tell your ex that what’s done and is done and that you loved her, but you love someone else now! And why, oh why, did Ariella live, only to sacrifice herself for Ash? Third of all: didn’t really find the trials to be interesting. Personally, if I’d been expected to go through a trial like Ash’s that would decide the rest of my eternity then I’d probably expect trials that attempted to reveal my past or made me question myself as a person or even trials that made me question my purpose of doing this—in Ash’s case, Meghan. But nope, I fear MORE for people that have to go to a clown party and are scared of clowns than I feared for Ash.